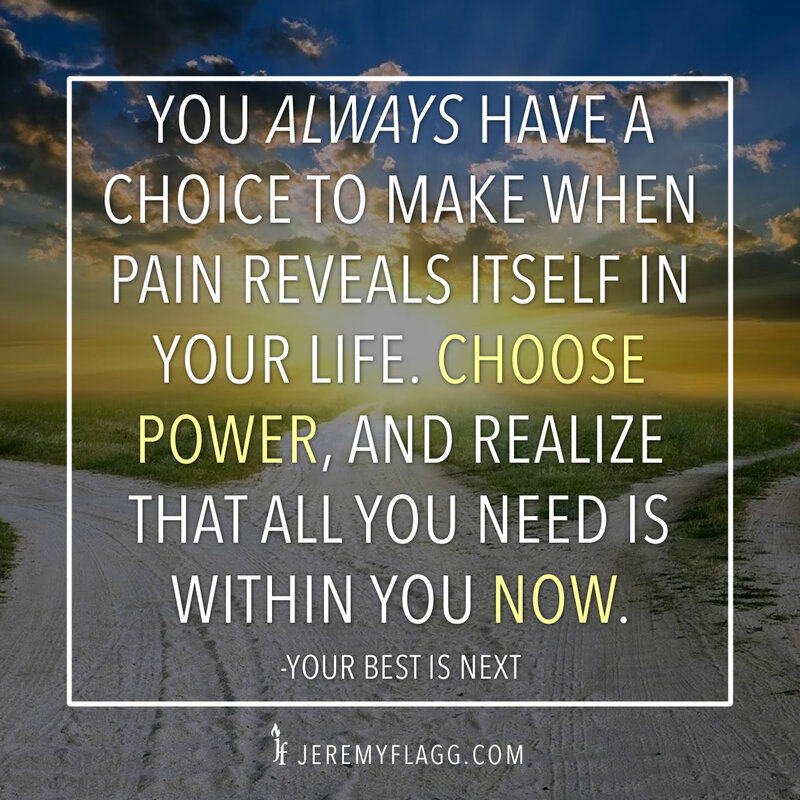 How do we act when what once brought us so much joy now brings us so much pain? We all feel dead sometimes. Lifeless, discouraged, maybe even depressed. These feelings are our soul’s response to disappointment. Something in our lives didn’t turn out quite like we’d planned and now the force of life that once flowed in us and through us feels painfully absent. 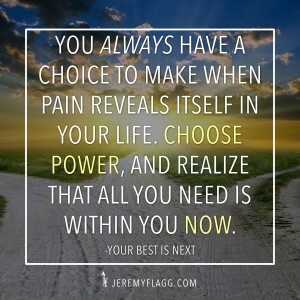 I recently battled these feelings after the release of my first book, “Your Best Is Next.” I didn’t know it at the time, but during the writing process my subconscious was forming an expectation of how I was going to be treated after I’d published. I thought that I’d release the book and I’d be selling copies to everyone on my list (that didn’t even come close to happening), that my phone would be ringing constantly from journalists that wanted to interview me (nope, not even once), and that my book would open doors for more speaking engagements so that I could share my message with established audiences (you guessed it…nada). I became really discouraged by what wasn’t happening. I stopped writing on my blog (as you may know). I stopped leaving my house to work and isolated myself. I started eating lots of junk food to make myself feel better but it only made me feel worse! I was completely lost in my own sorrow and didn’t know what to do. I didn’t feel like creating. I didn’t feel like writing. I didn’t feel like doing much of anything. So what do we do when our dreams are unfulfilled? How do we act when what once brought us so much joy now brings us so much pain? What can we do to snap out of our dead moment and bring our hearts back to life? The answer comes from the central figure in human history and what the pattern of his miraculous life teaches us about restoring the life to our own. People all over the world last weekend gave pause to celebrate the life of Jesus. Possibly the most misunderstood and misrepresented man in all of human history, Jesus’ life displayed many miraculous and powerful examples of what can be accomplished when a human being aligns themselves with the divine. None more powerful, of course, than the theme of last weekend’s celebration – his resurrection. Whether or not you believe it to be true or not is immaterial. The story has lived on for so many centuries, and been revisited and revised by so many people, that we can’t be sure we’ve got the truth anyway. What we can be sure of is the hope that this remarkable story gives us. Hope that life conquers death. Hope that faith conquers fear. Hope that love wins. 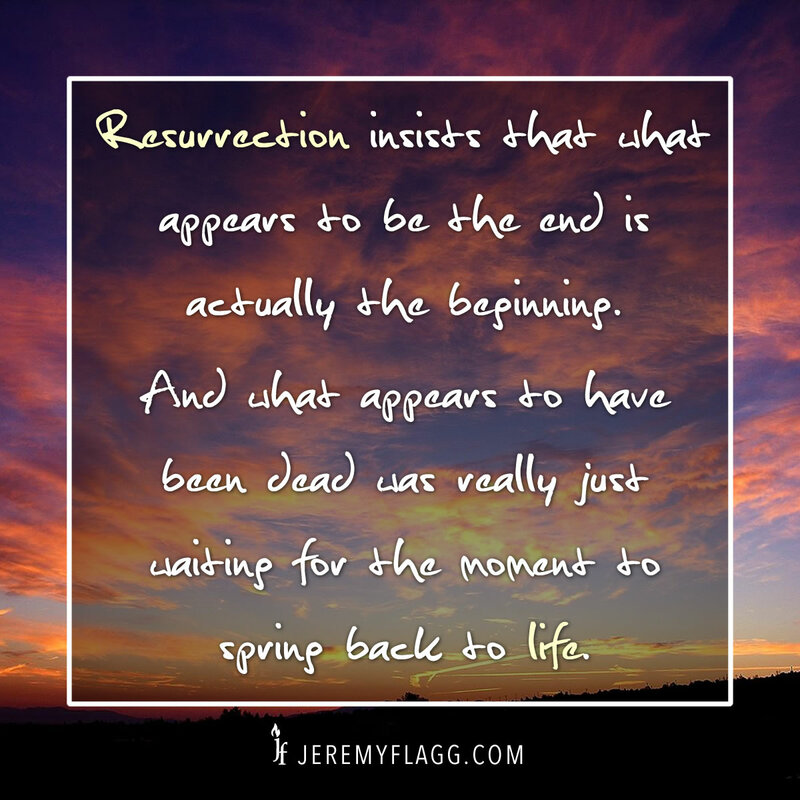 Resurrection is about the victory of life over death. 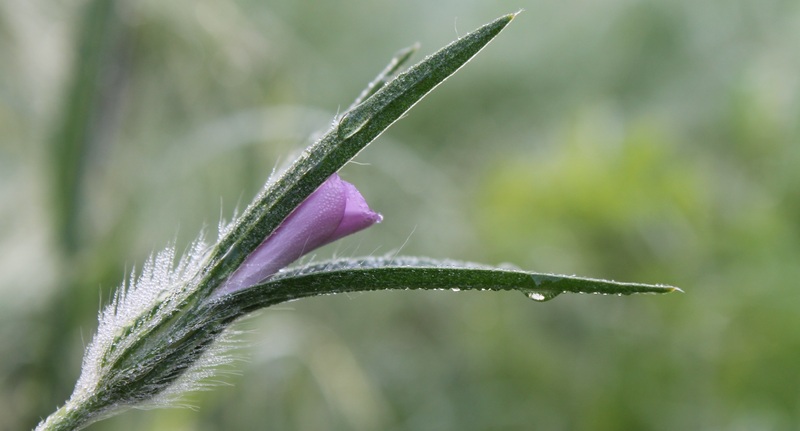 The symbol of our soul’s desire to feel alive no matter what has been lost. 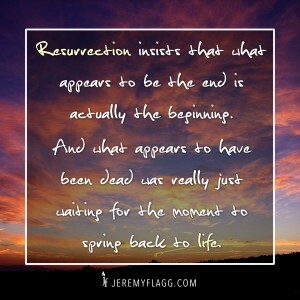 Resurrection announces to the world that no matter what unsavory circumstances you find yourself in, it is not the end. Whatever death, despair, or destruction you may be experiencing doesn’t have the last word in your life. Resurrection insists that what appears to be the end is actually the beginning. While making the decision to keep going, not give up, and change your expectations is great, I knew it was not enough to get me completely off life support. For that I needed to apply the most important lesson of the resurrection. Resurrection teaches that the force of life supports that which supports life. Now I know that sounds like a riddle, but it’s a concept that is easily understood. Life, the force that animates us from within and the substance that surrounds us, rushes in to support any action that upholds the life of another living being. Ask yourself, “Who was the resurrection for?” Was it for Jesus himself? Was it a self-serving act? No, it was an act of service and sacrifice on behalf of others. He was able to conquer death by focusing on giving life to others. And if we want to feel alive again when we’re feeling dead, then it makes sense to follow the pattern. Focusing on serving the needs of others is one of the quickest ways to bring new life to your soul. In order to become depressed, despaired, and discouraged we must necessarily be focused on ourselves. We continually ask ourselves questions like, “How do I feel?” and “Why did this happen to me?” These self-focused thoughts make us conscious of all the ways we’ve missed the mark and stop the flow of the force of life from moving through us. But when we shift our focus to serving others and becoming a conduit for life to flow through us to help them increase the quality of their lives, then we cease being self-conscious and instead become serve-conscious. How can I meet the needs of others today? How can I add value to the lives of those around me? How can I best serve those that have trusted me with their hearts? By asking better questions we increase the quality of our own lives and the lives of those we serve. The celebration of Jesus’ resurrection comes every year during the natural season of new things. The winter may have been cold, hard, and long but it’s not forever. And what appears to have been dead was really just waiting for the moment to spring back to life. We all experience the pain of disappointment in life. But when we feel like the despair, discouragement, and depression are too much to bear we can remind ourselves of the hope we have in life and the power we have to choose life in the face of death by focusing our efforts on serving others. Question: When you’re feeling dead inside what helps you spring back to life? You can leave a comment by clicking here. Giving back- Allowing the gift that has been divinely revealed in me to be exercised to help someone else. It focuses my energy off of me and puts God and others at the center. It allows me to transcend beyond myself and see things from a better perspective. Thanks for sharing, Steven! Sound advice. Yes! I love this. A timeless message that I ALWAYS need reminded of. Thank you Jeremy! I’m very glad you’re resurrecting the blog!! It makes me sad you felt that way. Don’t get discouraged. Just because you haven’t sold tons of books yet doesn’t mean your book hasn’t been a success and you know that. Aren’t you the one who taught me about faulty thinking. I know you would rather help people in the masses but isn’t helping even just one person equally fulfilling? Hang in there, in time your book with get more exposure. It is hard starting off as an unknown writer. I am sure John Ortberg or Henry Cloud all dealt with the same disappointments as you are. Hang in there. Love you guys. Thanks for the encouragement, Courtney!